Arm yourself with the aromatic strength of “Believe” …the strength to split the sea and rip a sto..
AHLAM AL ARAB IS DESIGNED TO EMANATE ORIENTAL MYSTIC WITH WARM WOODY ELEMENTS REFLECTING THROUGHO..
Let the power within come to the fore. Be the giant wave of contentment for..
A bold perfume filled with the scent of special nights to fill your soul with the highest meaning..
A Makkaj creation favorite, Atoof is dedicated to young women who are strong, dignified, and free..
Chanel Gift Set ( 5 In 1 ) with chance chanel 15ml Perfume , Coco madmosile 15ml perfume , mascar..
A well presented perfume in an amazing bottle with silver crafted lid, perfect for a gift, It can..
DAR AL HAE by the famous perfume manufacturer ahlaam from UAE. 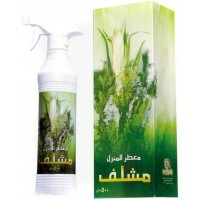 It offers the bold, ene..
Hareem Al Sultan Eau De Perfume Spray. Hareem Al Sultan by Ard Al Zaafaran is a very Exclusive and famous Eau De Perfume ..
House air freshner by banafa for oud Carpet, Furniture and Bedrooms Fragrance Gives fragrance for.. 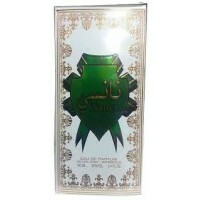 It is one of the exclusive fragrance perfume oil by one of the world renowned,Qu..
Jood by Arabian Oud is a Oriental Woody fragrance for women and men. Top note is c.. This aquatic, aromatic fragrance opens with a splash of fresh calabrian bergamot, neroli and gree..
Khallab 100ml By Ard Al Zaafaran Woody Spicy Cedar Agarwood Oriental Amber.A beautiful elegant bo.. This scent is meant to evoke the nature of the love that exists in legends. .. 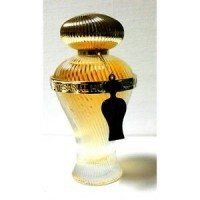 It is long lasting and sweet and woody fragrance it is a fresh, ..
A nice rich fragnance, luxurious, mild and flowery affordable. .. It is completely free from alcohol therefore will not dry your skin or lose fragrance as the alco..